Our company has gained name and fame in presenting Ankle Immobilizer. - Ankle injuries during sports and normal activities. 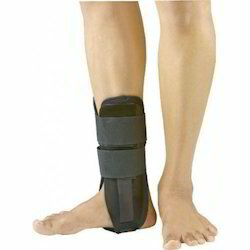 - To protect ankle in the case of ligament tear and hailine fractures. Measure the circumference at the lower chest. It is made of high-density plastic materials, large ear holes for monitoring the patients's ear canal; It can be used with scoop stretcher and spine board at the same time; Minimal interference with X-ray, MRI, or CT scanning prodedures; Waterproof plastic coating makes it easy to clean and prevents bactyerial growth on it. 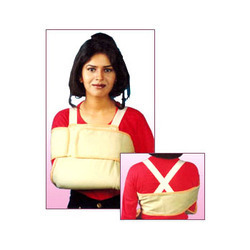 The Pedi Roll head immobilizer is an extremely versatile geometric solid: the cylinder. Fixing together two of these small cylinders it will cancel the effect of any movement in any direction. We hold expertise in offering a wide range if Hearing Aid Enhancer. These compact sized devices are very easy to install and operate and acclaimed for perfect dimensions, robust design and consistent performance. We ensure rough and tough usage of these devices. Our clients can avail these products at feasible rates. Knee immobilizer 14 is an excellent brace to immobilize, support and protect the injured or operated knee while it recuperates. - Anatomically shaped back splints. - Soft and comfortable body.